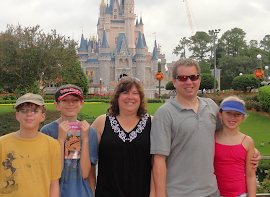 As a Disney travel expert for Mouseketrips, I spend my days helping families pick the perfect resort, creating personalized itineraries, booking dining reservations for restaurants I’m sure each family will love, and assisting with the selection and booking of FastPasses and more. My hope is to make each of my client’s vacations as stress-free as possible by using my vast knowledge of Disney to set up their plans for the most magic. It’s a job I love to do for clients, and a job I have been doing for a very long time for my own family. If the Moore family is heading to Disney World, you can bet there is a plan in place! However, this all changed when we recently had the opportunity to visit Disney World in early November. It was a bonus trip that came up last minute and it was the perfect opportunity to try an experiment I’ve wondered about for quite some time. What happens when you just show up in Disney World with very few plans or reservations?? First a little background information: We are a family of five. Our three kids are now teenagers ages 13, 14 and 16 and they are fortunate to have been born of two Disney enthusiasts. They have been visiting Disney World at least once and more typically, twice a year their whole life. When we arrive, they know the highlights have been booked and they simply ask, “Which park today?” while exuding confidence that Mom’s got the details tended to. I should have recorded the moment we arrived and I announced we had no dining reservations, that I had no clue how we would spend our days and the only plans I had was for a handful of Fastpasses I had booked for the mornings. Ack!! Panic began to set in as their lips quivered under pale faces as they questioned, “You mean we don’t have reservations for the Biergarten… or Crystal Palace? How will we choose which park to go to? What will become of us?? ?” As chief cheerleader I told them to fear not! Disney vacations are really all about being together. We are in the most magical place on earth and we are now free to explore and let the magic unfold!! On our first night, we decided to head over to Downtown Disney. We hadn’t really explored the newer sections beyond the Lego store in a while and everyone was excited for a fresh adventure. I was excited to check out the relatively new Splitsville, a bowling alley proclaiming to rival all bowling alleys! We did make it there around 5pm and found both floors fairly empty. Perhaps it was the incredibly high price tag for a family of five because while the lanes look like great fun, we weren’t ready to part with $100 for our family to bowl. We did however learn, it was far less to have a billards table for an hour! (I think $20 or less.) With three teens, this was perfect for us! My husband and I ordered up a few specialty cocktails plus sodas and a couple of apps to share. We had a fantastic time together with a little friendly competition and some very creative attempts at trick shots that kept us all laughing! Our fly-by-the-seat-of-our-pants vacation was off to a great start!! Afterwards, we headed out in search of a place to have dinner. I have always heard good reviews about Raglan Road and so we headed there. The place was packed as it was now prime dinner hour. I walked through the crowd of guests waiting to be seated, not feeling very hopeful at all. I told the cast member at the podium our party size and that we had no reservation while hanging my head in shame. He said it would be an hour and twenty minute wait… unless we wanted to eat in the open patio area in which case, they could take us now. WHAT?? As I quickly gathered my flock we were lead immediately to a fantastic table under a beautiful Orlando night sky. There was a small stage not far from us where a four piece Irish band was performing, soon to be followed by Stepdancers. How could this be? All those people waiting for a table inside and here we sat, fantastic food, great entertainment, a wonderful waiter with NO RESERVATION! Okay, the Disney magic had arrived!! Days in the parks were not much different than our usual well-planned vacations. We are not ones to wait on long lines and we’re happy to zag and zig while the bulk of the crowds find their zig and zag. On night number two, I was excited to see how that Disney magic was going to unfold. We headed out to the Wilderness Lodge figuring if we got there between 5 and 5:30, we should be able to get seating at Whispering Canyon. Okay, so maybe the Disney magic was working with another guest that night because we were quickly turned away with an offer of being seated at 9pm. No worries, we will jump on the boat to Disney’s Contemporary because with all the options on the monorail route, there’s going to be a restaurant that can take us in. Right? Well, not so fast. We first stopped at Chef Mickey’s where we were cheerfully told, of course we can seat you… it will be about an hour and 20 minute wait. (What’s with the hour and 20 minute wait?) Next stop, The Wave, they could seat us in 20 minutes at the bar. Not the dining experience I was looking for, especially with three teens. With a husband and three kids in tow, they sluggishly followed me as we made our way to the Poly and Grand Floridian looking for the proverbial room in the Inn only to be repeatedly told either no or come back after 9pm. I was quickly becoming the target of evil stares and angry under-the-breath comments as my sweet loving family turned into an angry mob. I swear I caught a glimpse of a pitchfork and torch as I tried to quickly lead them somewhere, anywhere for a fun dinner. Where’s that Disney magic now??? Somehow, about an hour and half later, we end up back at Chef Mickey’s where the same cast member was happy to take our name. The smile never broke from her face while she pointed us to the waiting area but I’m sure there was a grin and a snicker hidden behind the kind and friendly face. About 20 minutes later, we were called to come to our table! That gave me just enough time to jump on the My Disney Experience app and make a few key reservations for later in the week. With a little flexibility, I was able to get reservations at the Biergarten for dinner and even scored The Tusker House for breakfast. And on one day, we could have gotten in to the Crystal Palace as a walk up with a twenty minute wait however it was early in the day and no one wanted to give up ride time for a sit down meal. All in all, we had a fabulous vacation as we always do when visiting our favorite place. However, tensions and some rather unpleasant attitudes boiled to the surface when hunger and disappointment took over. The bottom line is this, if you are an experienced Disney family and you are looking to spice things up a bit, there is a lot to be said for having days with no plans, jumping on the first park bus that pulls up to the resort curb, engaging with lady luck to see where you might land a table service meal etc. Having the Disney app on your smart phone, definitely helps by providing some relatively last minute structure. I personally would only allot for a couple of days in our Disney vacation to be so carefree and wild. I also learned where the threshold lies for my family and their sense of adventure. I also would NEVER, EVER recommend this strategy with young children or grandparents in tow and I am a true believer it’s an absolute, without a doubt, no-no for first timers. I honestly came home from this trip with a renewed sense of pride for what I do for my clients. Disney is truly a special place where magic can be found in surprising ways. With a sense of adventure, a free spirit and a willingness to skip some tried and true attractions while being open to new ones, experienced families can definitely find unexpected fun that can breathe new life into their trip. However, some caution should be taken to not demand too much from the magic of Disney by throwing all planning to the wind. 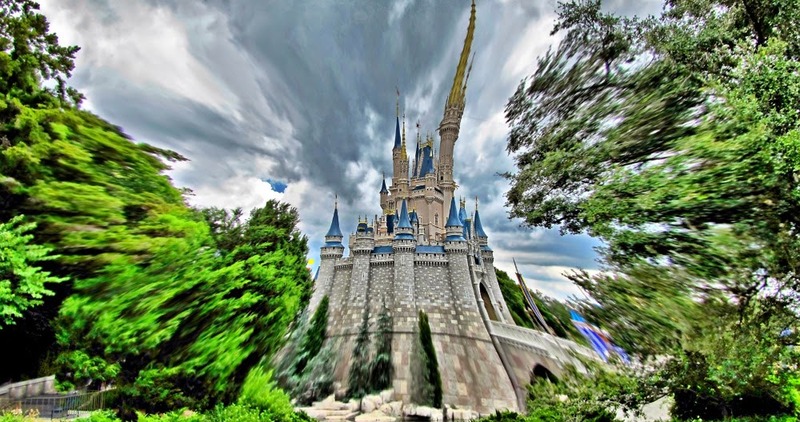 And for most families, having a plan and booking with a Disney expert like a Mouseketrips agent who will help guide you, is truly the key to a fantastic and memorable trip.